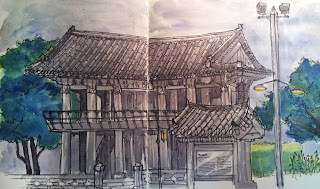 The pension which was located to Gyeonggi-do GaPyeong. Air is very much refreshing in the heart of a mountain. 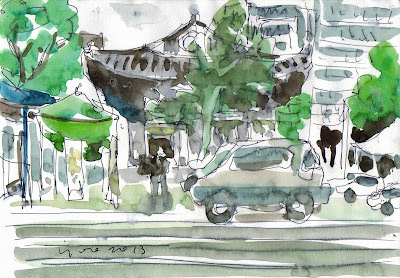 Sometimes I get out in dailies, and I lived, and I go out. 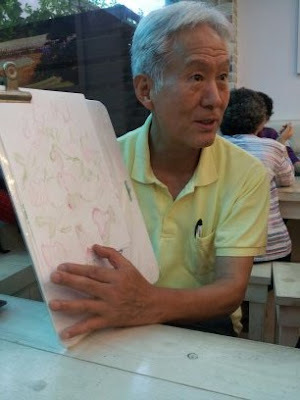 It vitality works to life. 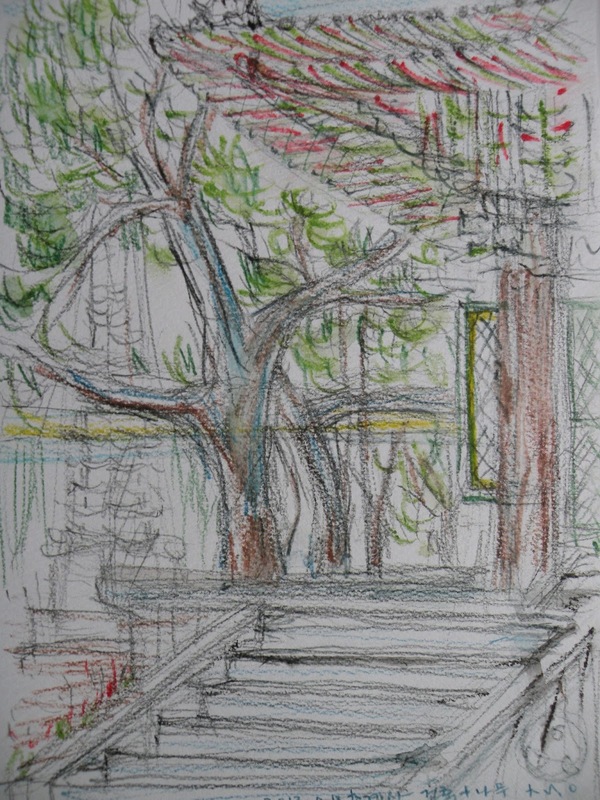 A thought is charged that I wanted to live with natures in any time. 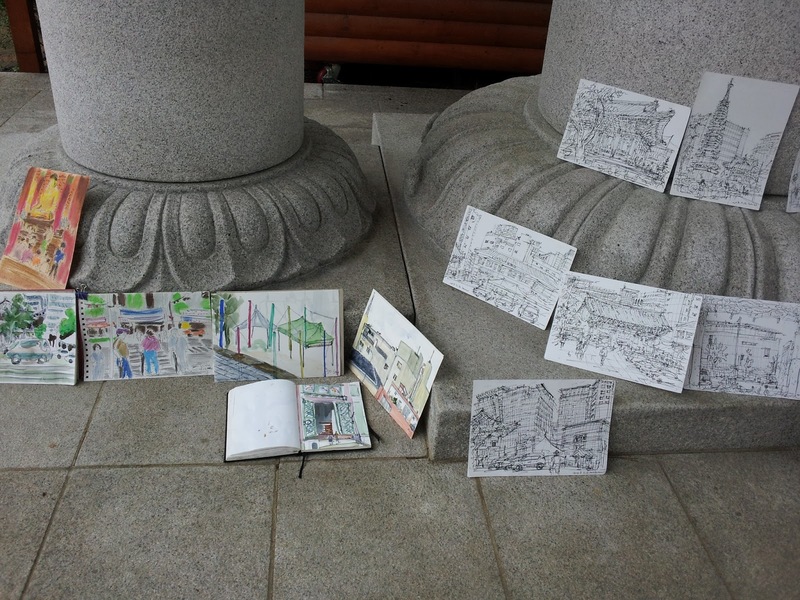 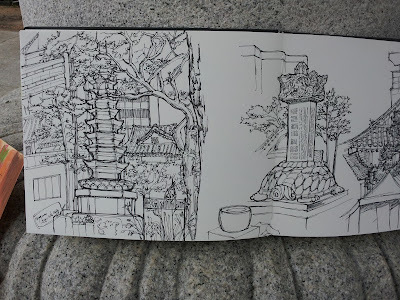 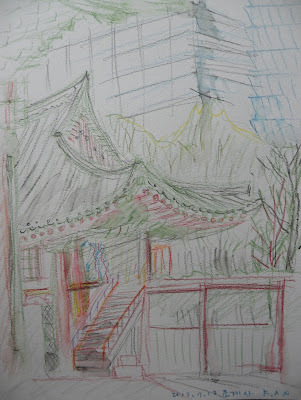 It was rainy and inclement weather, I joined in 40th World Wide SketchCrawl with Seoul sketchers around Jogyesa Temple located in downtown Seoul. 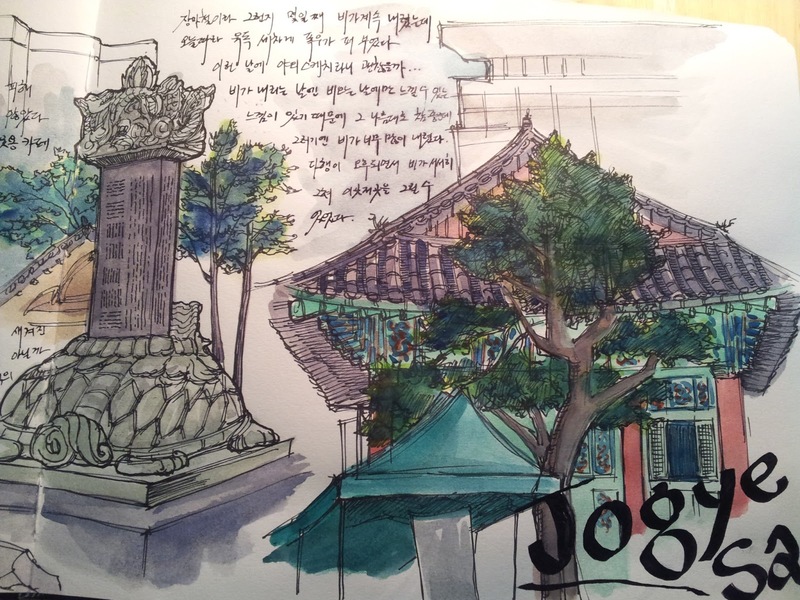 Jogyesa Temple is an oasis of spiritual peace in the heart of the bustling metropolis. 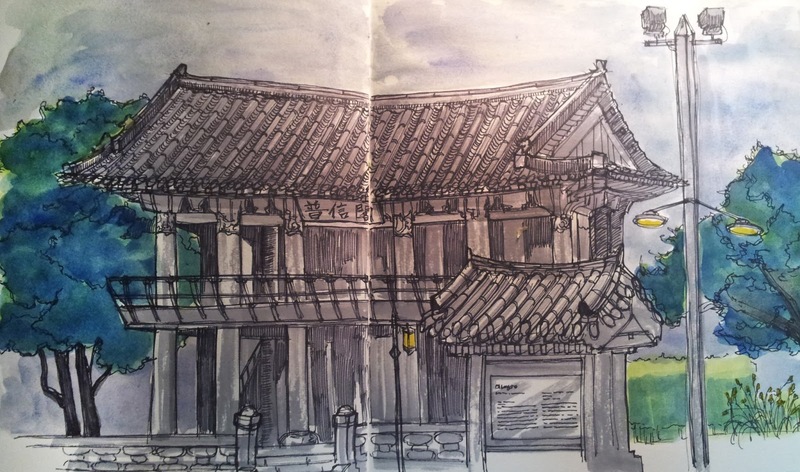 There are some historic cultural properties including traditional Korean architectures. 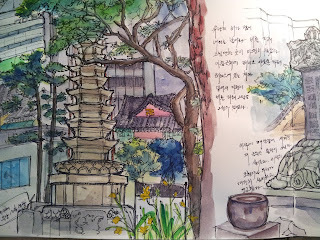 Along the street around Jogyesa are many Buddhist specialty shops and some colorful facilities related to Buddhism. 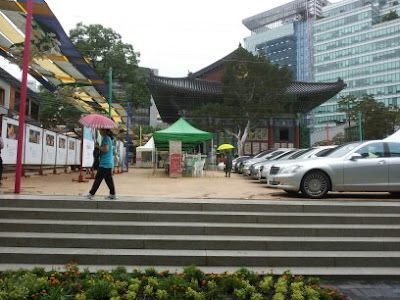 The traditional space in urban center is very interesting for our urban skechers. 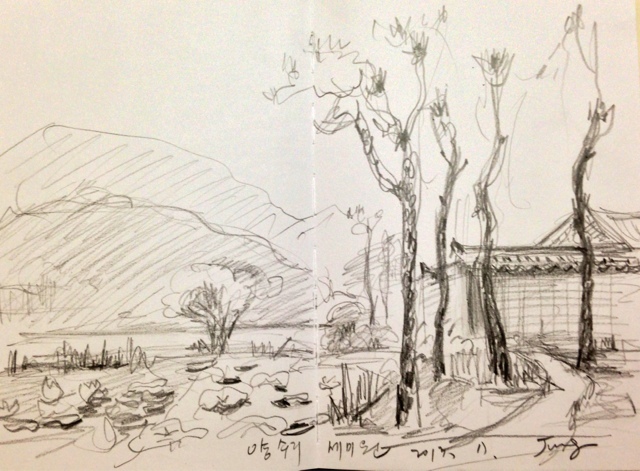 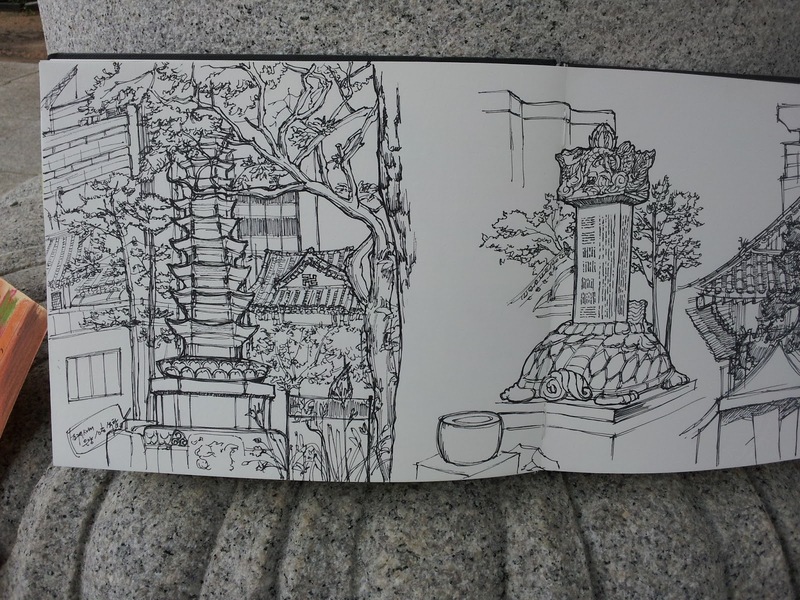 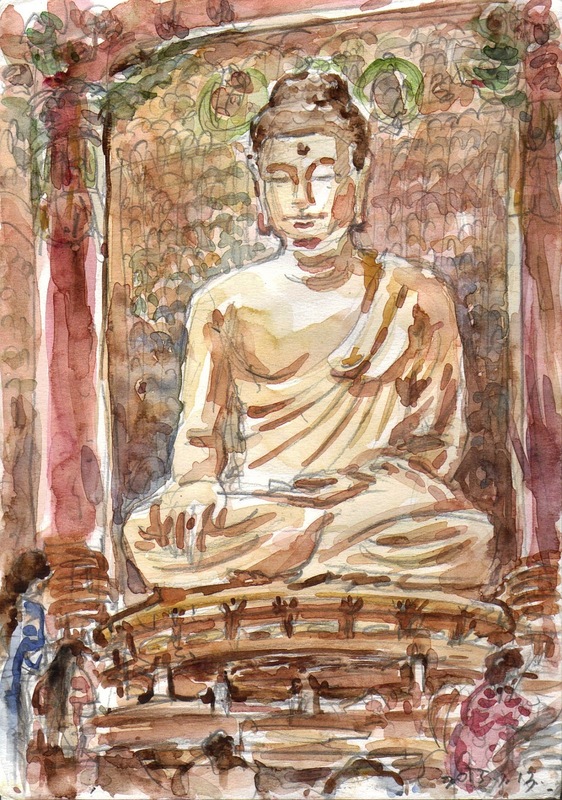 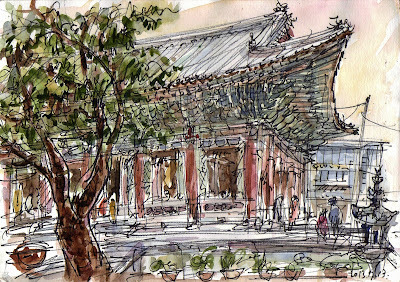 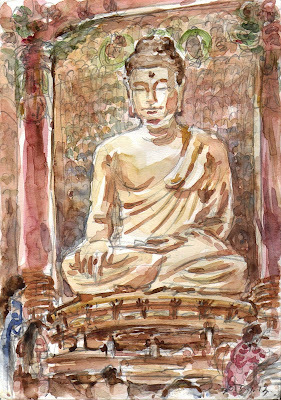 I sketched various sceneries here and there, looking around the peaceful temple. 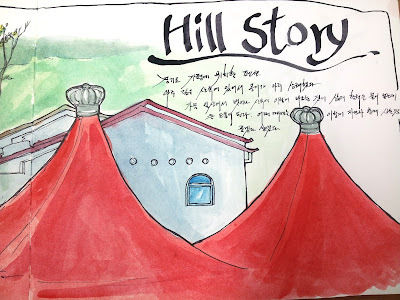 도심사찰은 복잡하고 생동감 넘치는 현대도시에서 오아시스 같이 정서를 맑게 해 줍니다. 옛 것과 오늘이 공존하는 도시의 모습은 어반 스케쳐들에게 많은 흥미와 매력을 제공하는데, 특히 4대문 안의 문화재와 풍물들은 마르지 않는 스케치 소재라 할 수 있습니다. 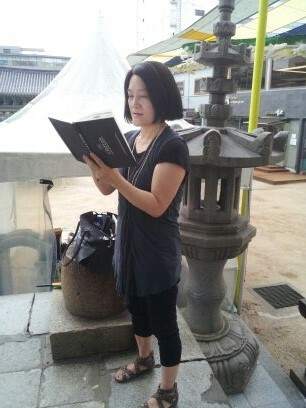 새로 참여하신 분들을 환영하며~~신선한 스케치와 더불어 많은 활약을 기대합니다. The long rain began. 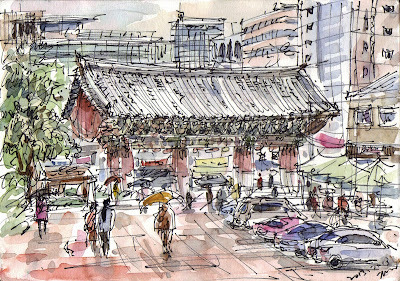 Rain was brought down awfully from the morning. 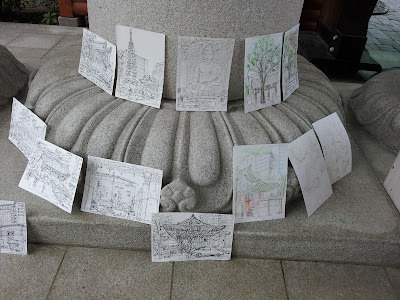 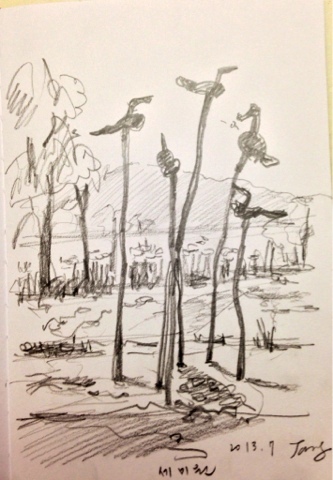 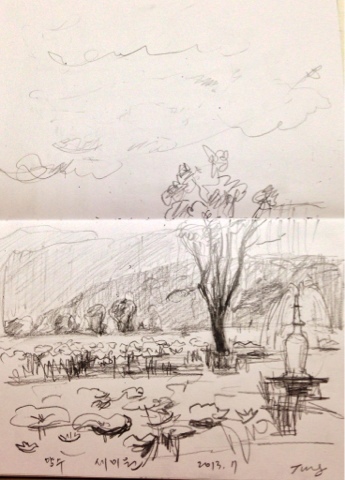 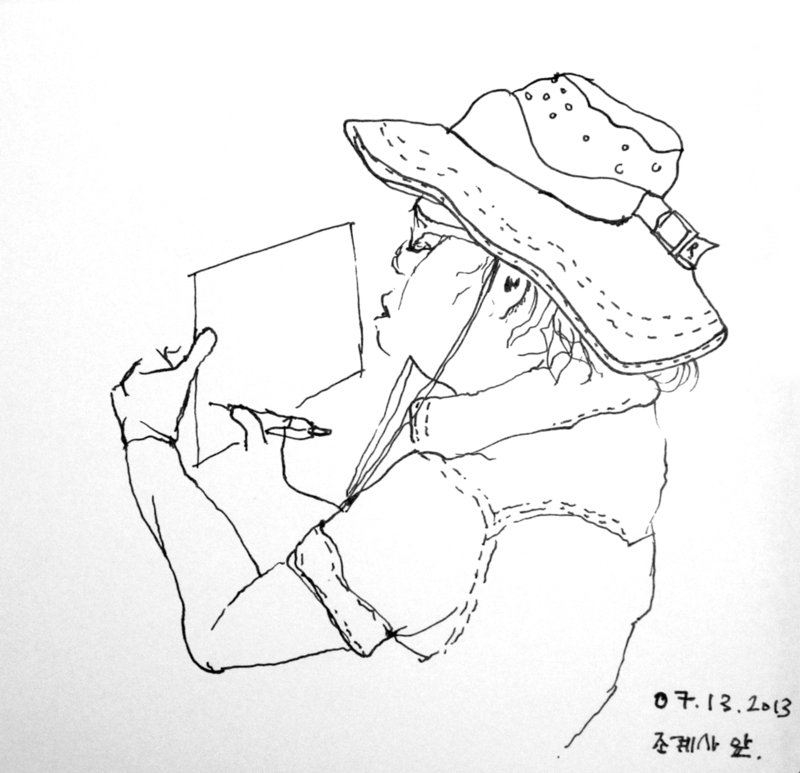 I am worried about whether there is a number to picture sketching so that there had been a lot of rain. Rain decreased as soon as time passed. 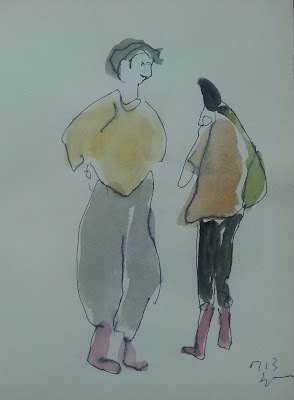 If it rains, a number to picture the feeling is good as there is it. 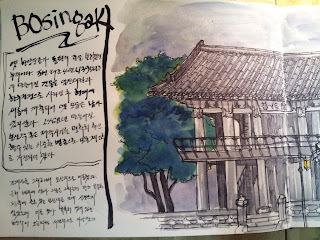 I make it so that a feeling for lyrical feeling to carry is good. We've met at Jogyesa this time. 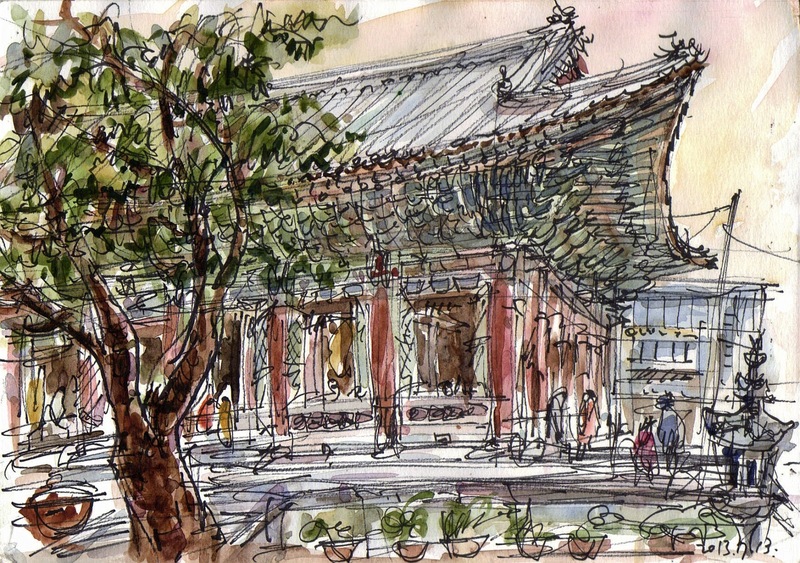 Jogyesa is quite famous big temple located in near Kwanghwamoon. 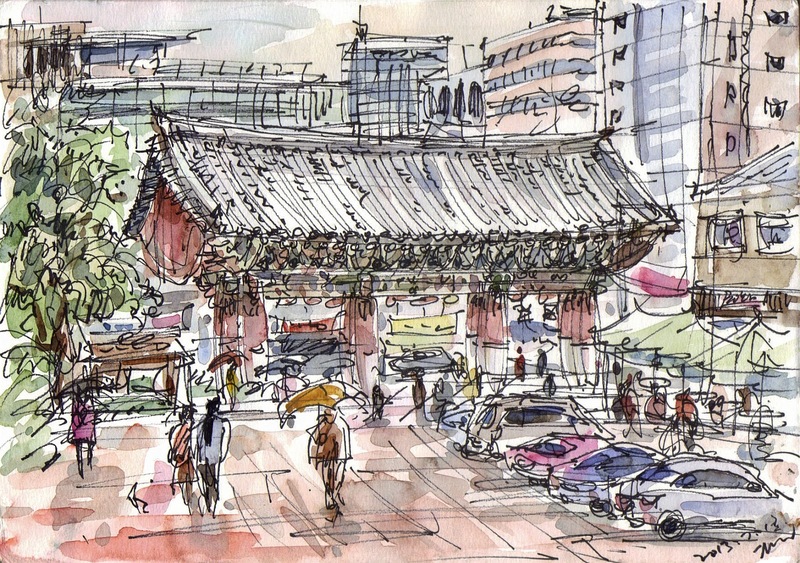 It's very crowded today because of weekend. 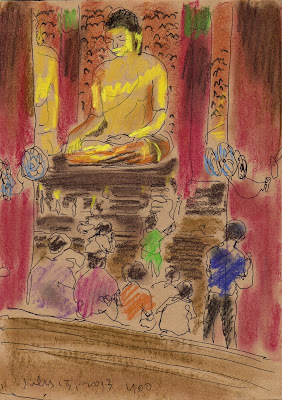 Mostly people who want to pray and tourist. 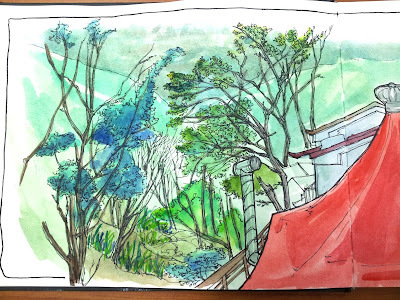 It's very nice place to draw even when it rains. 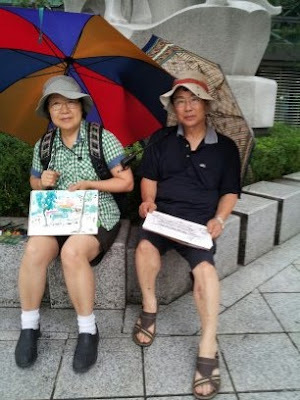 There are many benches to sit and eaves to avoid from rain. 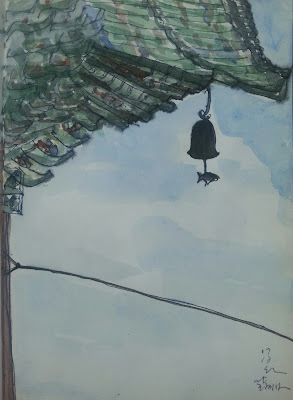 The decoration of the ceiling in the yard was very touching today. Those colorful fabric are fantastic. It was very happy day with our members including new members. 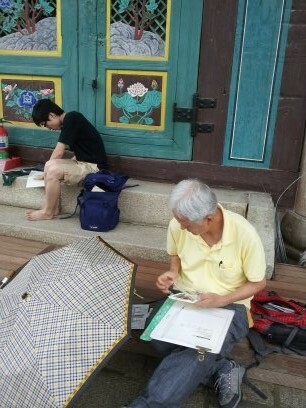 우리는 조계사에서 만났다. 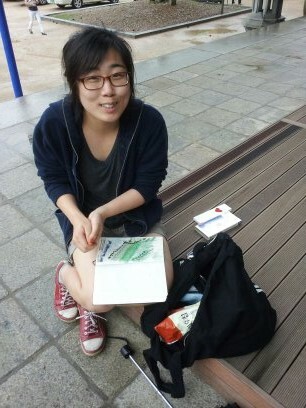 조계사는 광화문 근처에 있는 꽤 유명한 사찰이다. 오늘따라 관광객들과 신도들로 붐볐다. 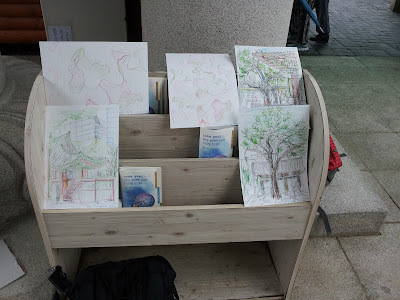 이곳은 비오는 날에도 그림 그리기 좋은 곳이다. 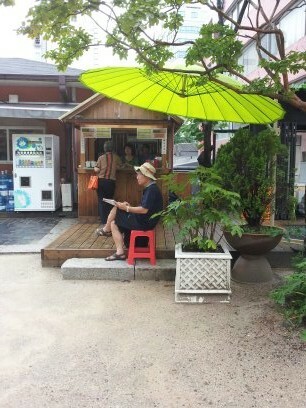 많은 벤치가 있고 비를 피할 처마들도 많았다. 오늘은 앞마당 천정의 장식들이 내 눈길을 끌었다. 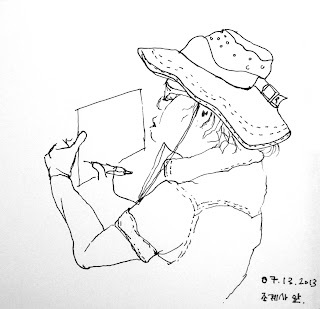 장식된 직물들이 환상적이었다. 새로오신 분들을 비롯해 여러 회원분들과 함께 즐거운 하루였다. 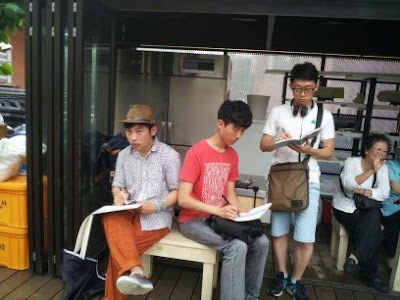 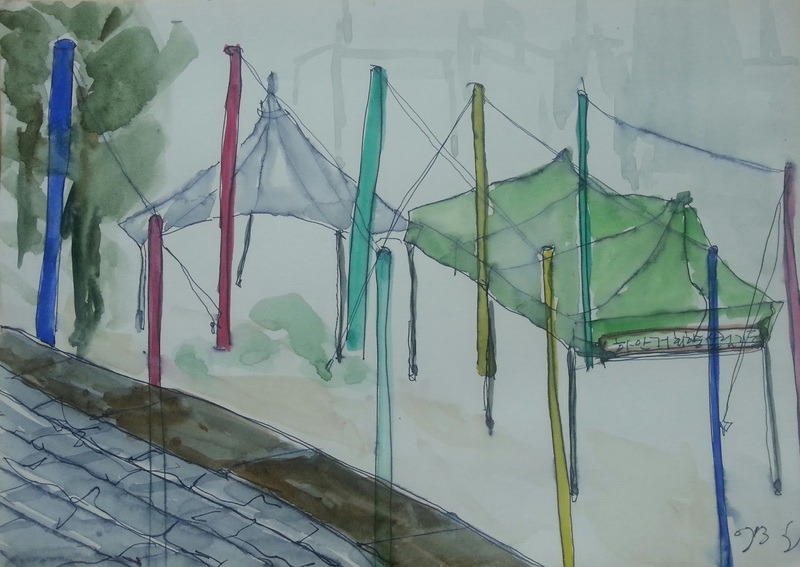 Despite of heavy rain, nine sketchers including four new comers participated in! 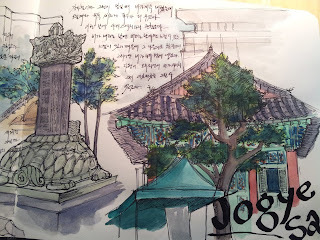 Jogyesa locates at Jongno - one of busiest places in Seoul. 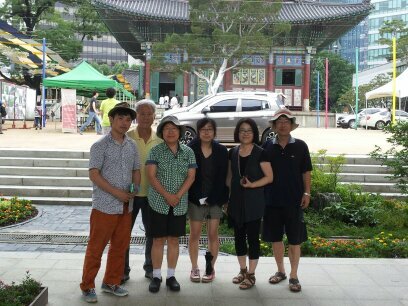 It's a headquarter of Jogye Order in Korea Buddhist, so many believers and foreign tourists visit. 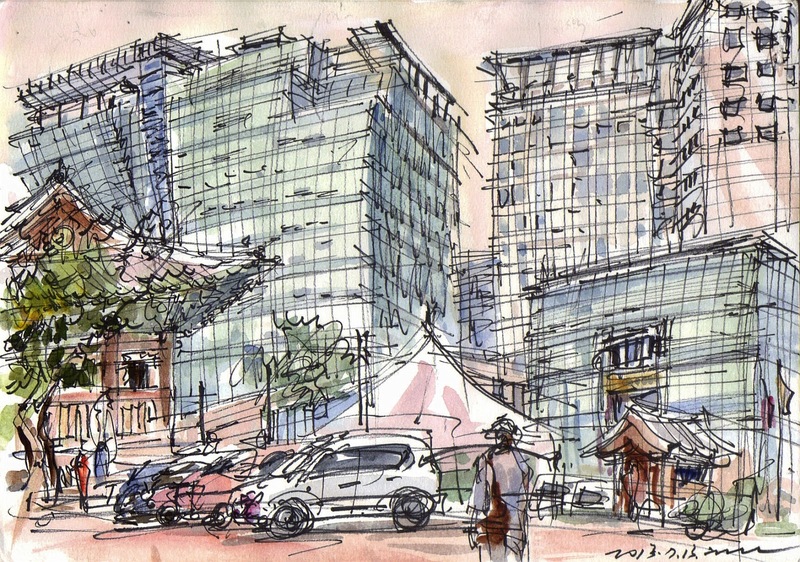 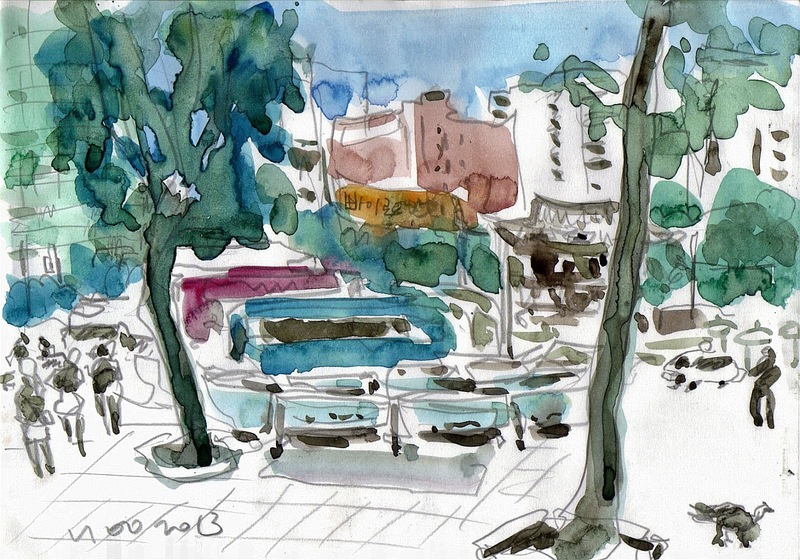 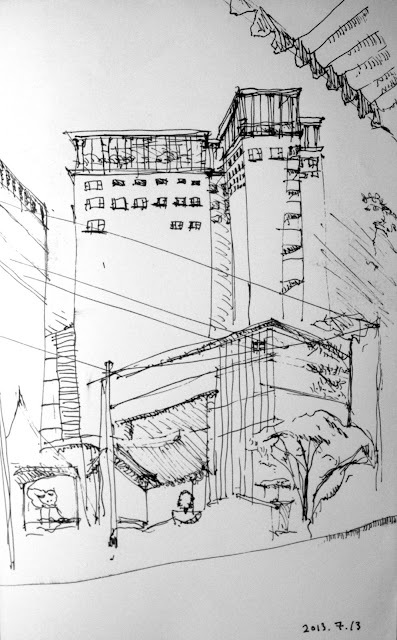 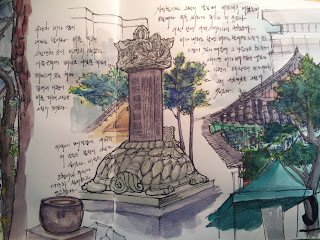 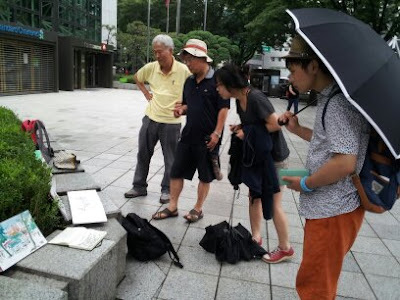 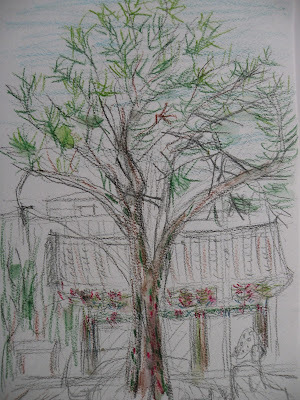 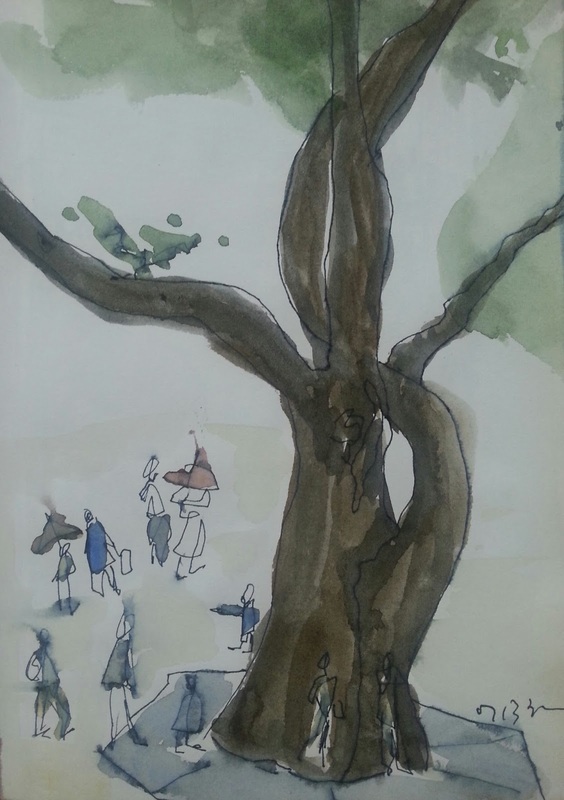 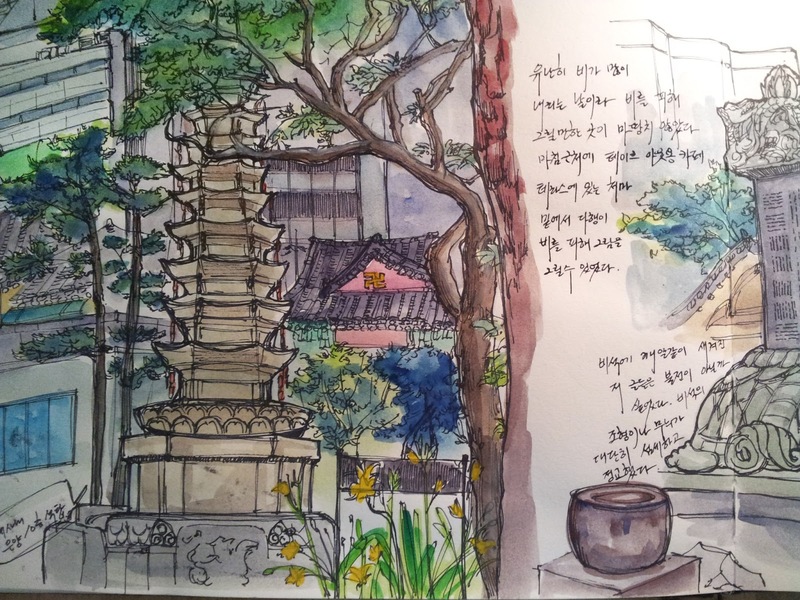 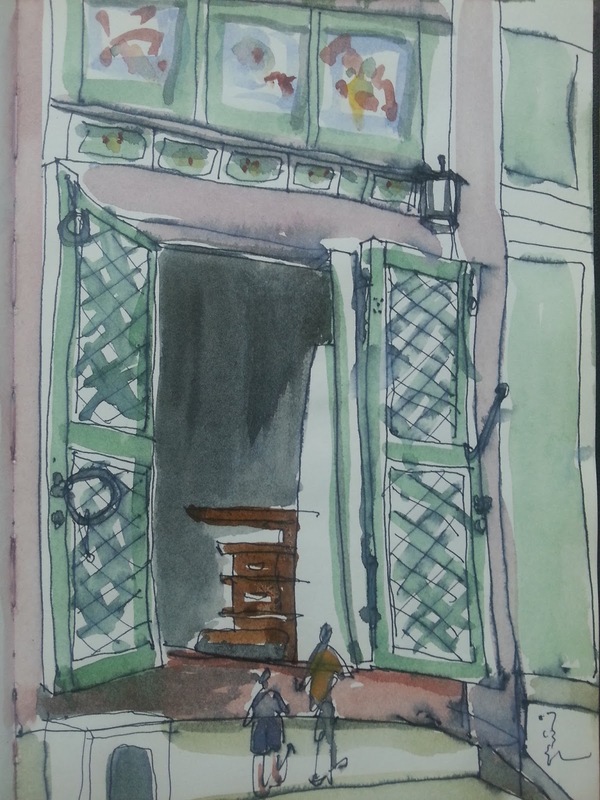 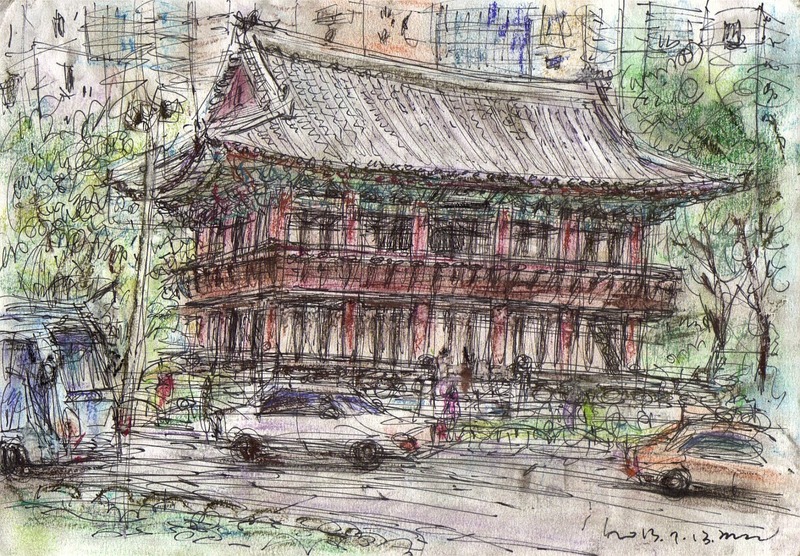 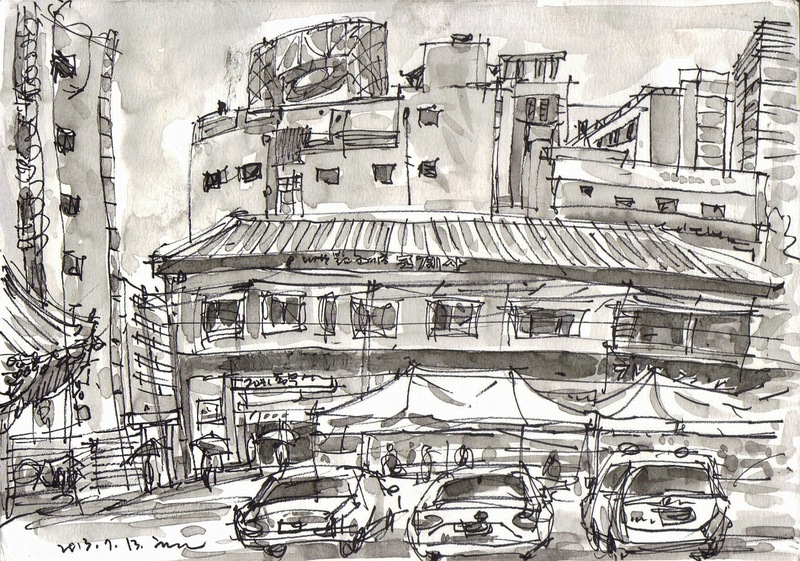 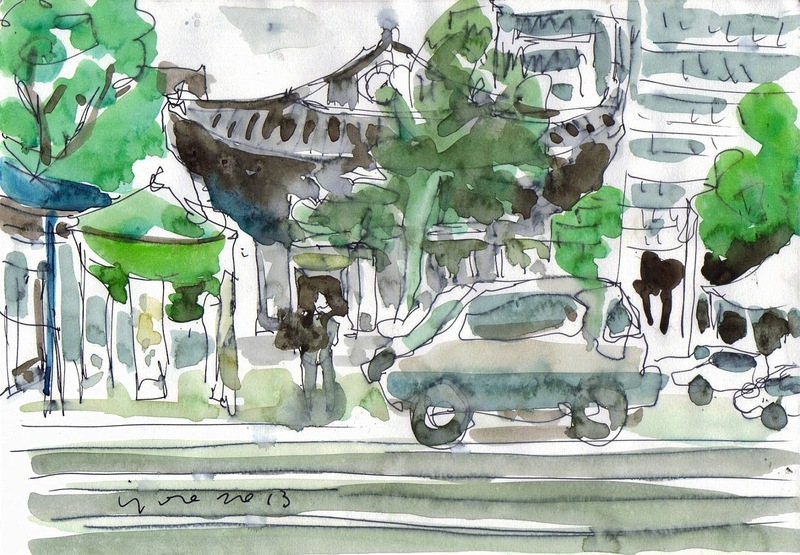 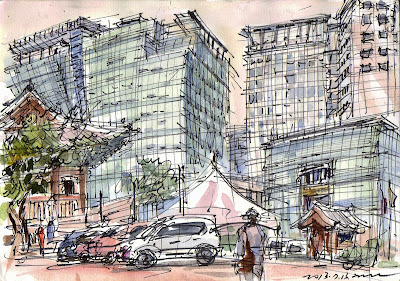 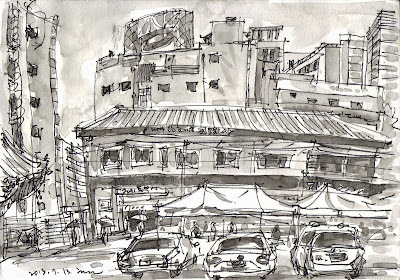 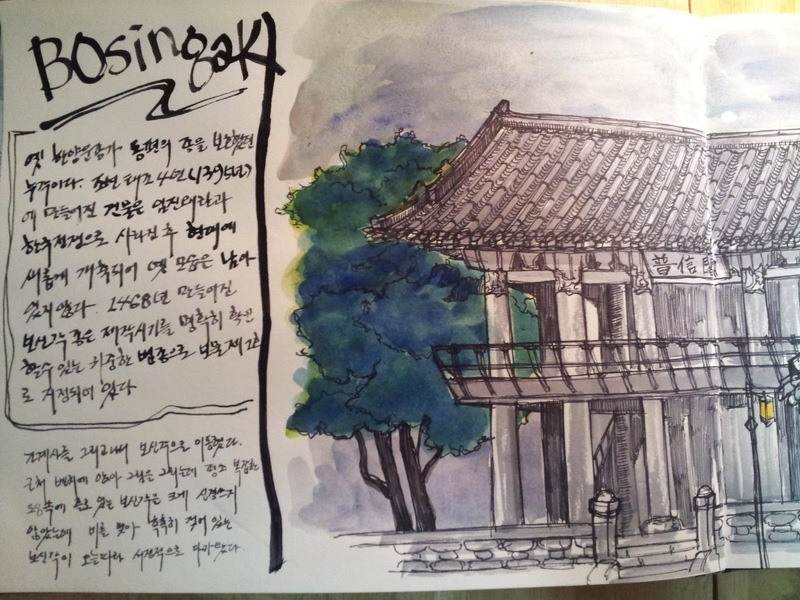 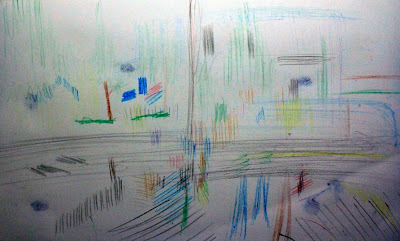 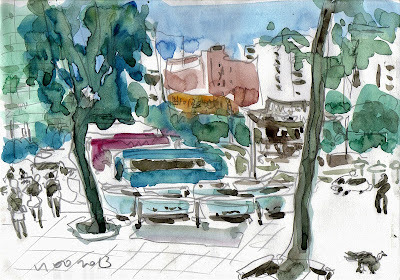 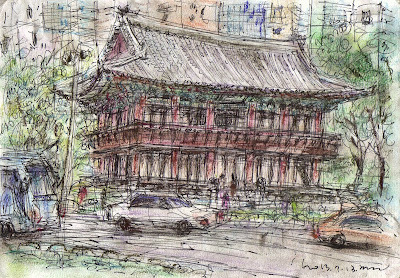 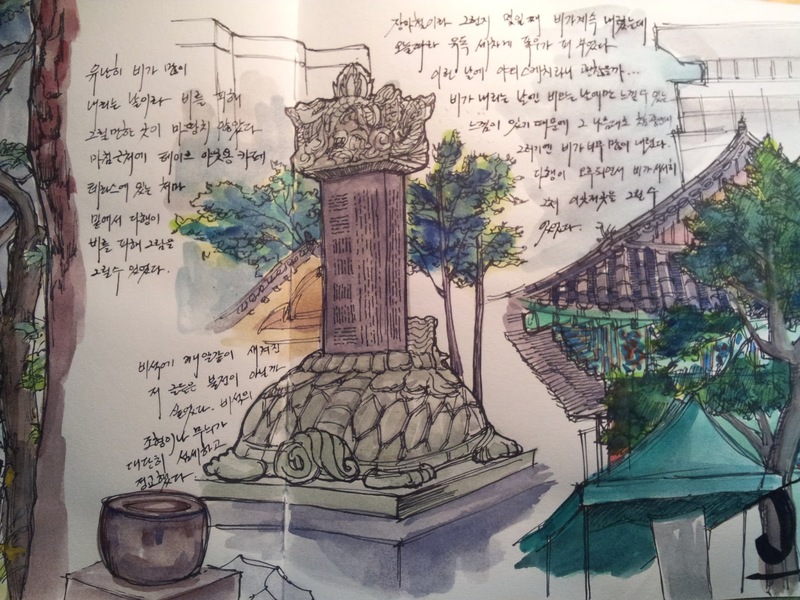 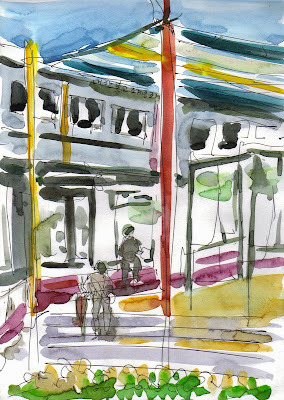 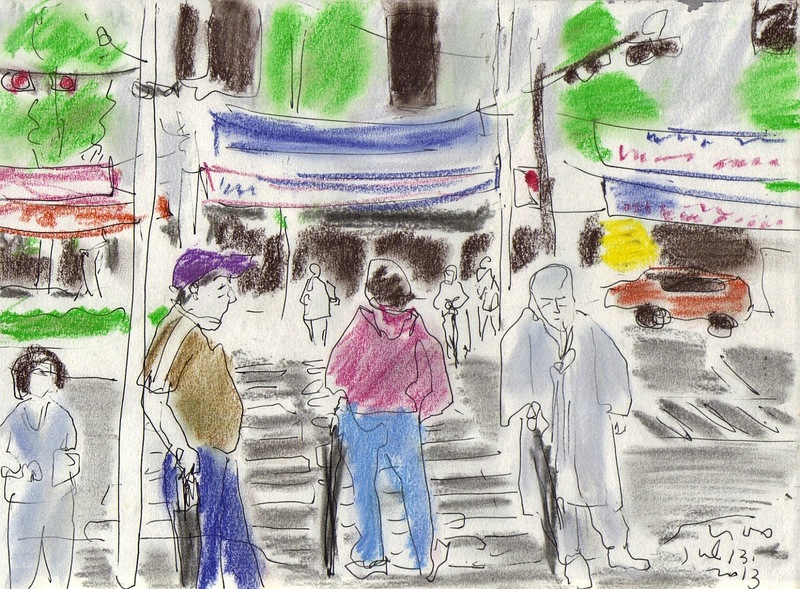 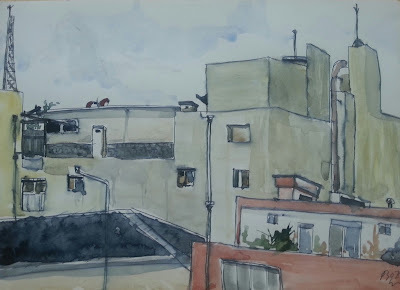 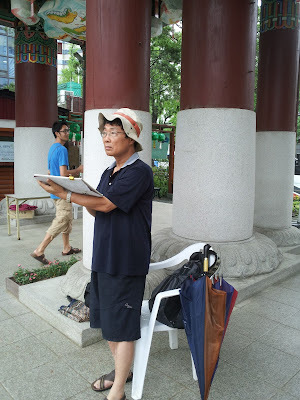 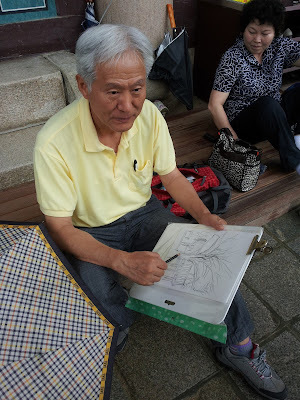 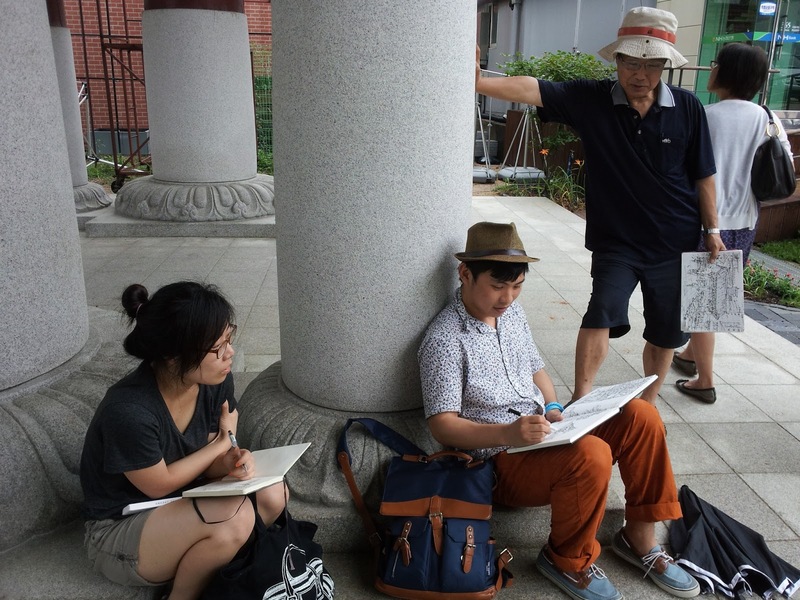 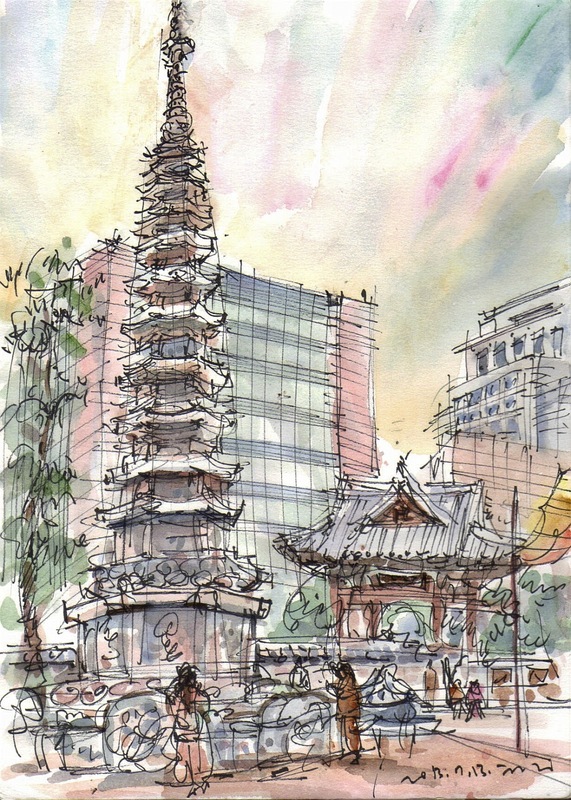 After sketching there we moved to the Jongno street for capturing the Bosingag where the bells of New Year tolled. 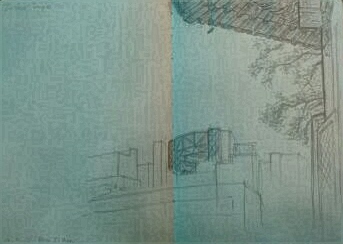 Thank you all the participants, especially New Comers! 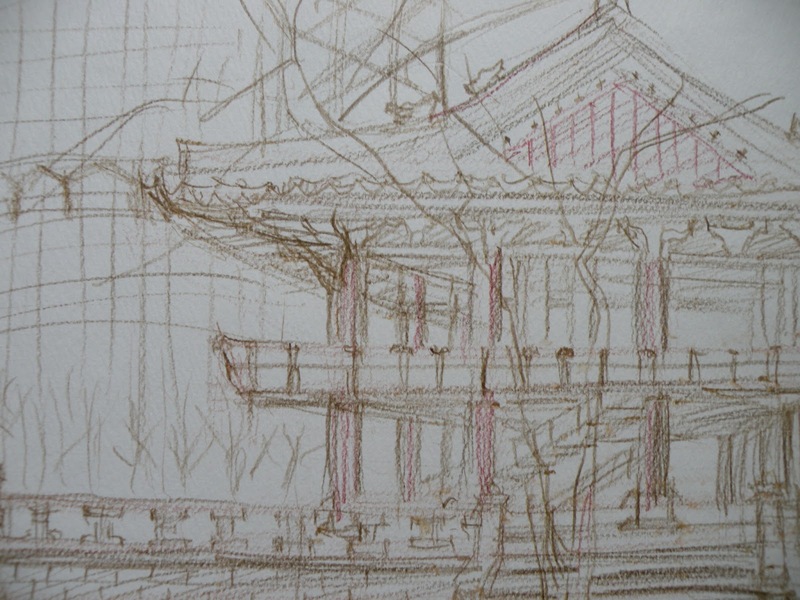 Hope you to keep sketching together forwards! 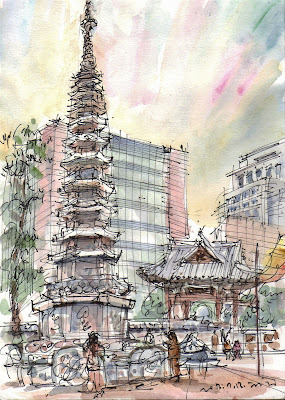 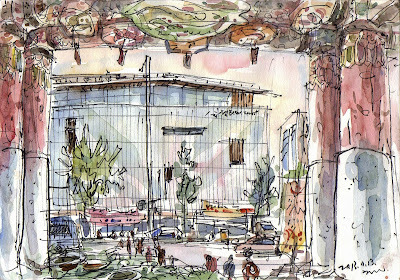 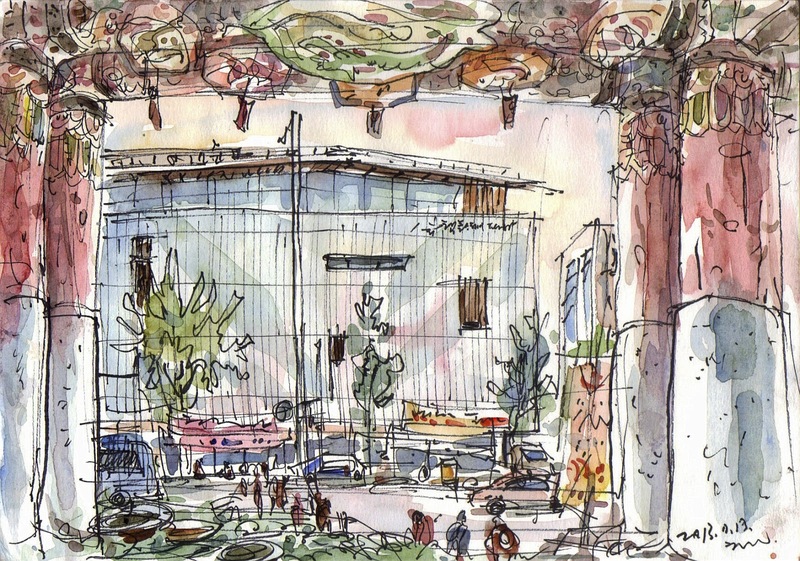 Please visit 40th World Wide SketchCrawl page and share all the sketches on the globe.